Town&Country interviewed me in the December 2015/January 2016 issue. Welcome, new readers! 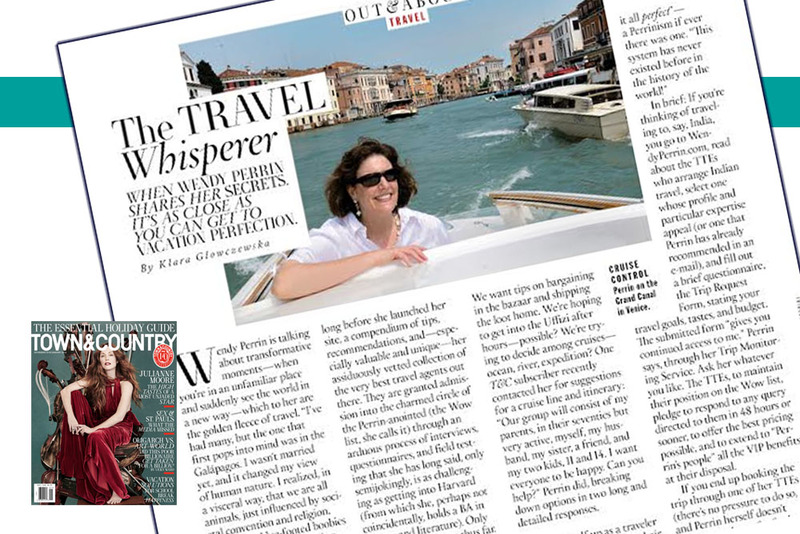 Especially those finding me from Town&Country, where the Dec 2015/Jan 2016 issue profiles me (“The Travel Whisperer”) and reveals what we’ve been building for travelers here at WendyPerrin.com. 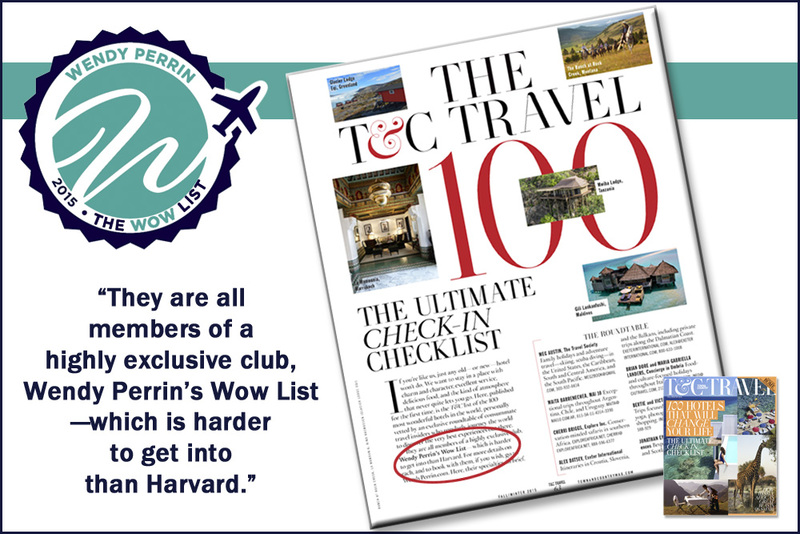 “When Wendy Perrin shares her secrets, it’s as close as you can get to vacation perfection,” says Town&Country. Well, what my team and I have built does more than just share my secrets. We’ve dreamed up a way to save you from mediocre trips. It’s a whole system—one that’s never existed before in the history of the world, and one that consumers have needed for decades—whose goal is to deliver to you the trip of your dreams. If you click over to our Plan A Trip section, you can read about how we’ve created a WOW system that connects you with the best destination specialists out there and then optimizes the interaction between you and them so as to help you get the best trip possible at the greatest value for your dollar. I began compiling a list of best destination specialists two decades ago, when I was at Condé Nast Traveler. First published in the year 2000 as “Wendy’s Rolodex,” it was the first list of its kind back then, and I’ve continued to refine and grow my “rolodex” every day since, road-testing and monitoring those on it to ensure that they remain the best. Now I’ve created a Trip-Monitoring Service too: For two decades at Condé Nast Traveler, I studied the problems travelers have with travel agents, intervened to rectify the issues that cropped up, and advised readers how to avoid these pitfalls. My Trip-Monitoring Service is designed to ensure you benefit from that advice; it zaps common problems before they impact a trip. How does it work? 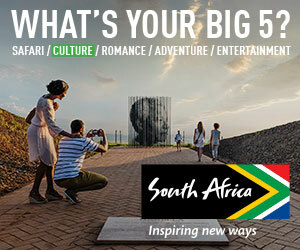 If you know where you want to travel, go to The WOW List, find the right Trusted Travel Expert, click on the black CONTACT button below the Trusted Travel Expert’s entry, and fill out the “Let’s Create an Extraordinary Trip!” form. 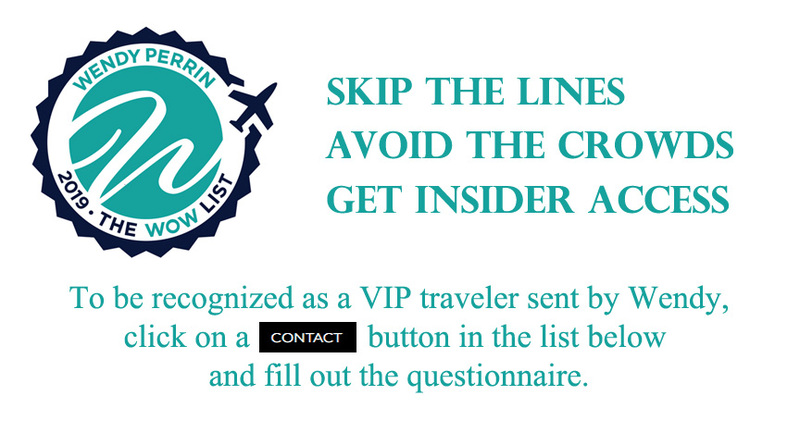 That way you’ll be recognized as a WendyPerrin.com VIP traveler, you’ll be entitled to the best pricing and service that each Trusted Travel Expert can offer, and you’ll get my advice along the way and my Trip-Monitoring Service. If you can’t find your destination on The WOW List, go to this abbreviated version to see all the locations in an easy, at-a-glance format. 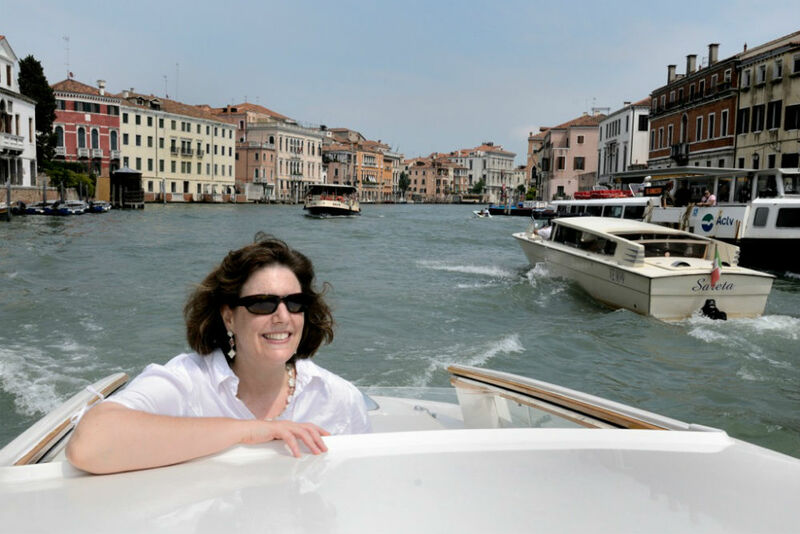 If you have no destination in mind and need suggestions, click over to Ask Wendy. I’ll do my best to reply personally with recommendations or refer you to the right generalist travel agent. No matter how you connect with me—here on the site, on Facebook, or on Twitter—rest assured I’m doing my utmost to put the best travel-planning tools of all kinds, human and digital, at your fingertips. What I’ve built here is my small way of doing my part to contribute to the greater good: The more people enjoy eye-opening and transformative trips, the more often we will travel, the more stamps we will collect in our passports, the more global citizens there will be, the better we will all understand one another, and the more of the world’s problems we can solve. A year ago we launched The WOW List—my list of rigorously road-tested Trusted Travel Experts who design and book magical trips—and look at what we got for our first birthday. After 25 years listening to sophisticated travelers tell me their frustrations, I’ve created a system to zap those problems and provide the keys to extraordinary travel: the right fixers, VIP status, the best pricing, and my advice throughout the trip planning. Learn how it works and what you get. An at-a-glance list of each destination I have a travel specialist for, plus other useful travel people I've found over the years.